Comcast-owned Comcast Spotlight partners offers ad sales services to smaller pay-TV providers. You know when you’re watching national prime-time TV and, after a bunch of ads for big-name brands you’ll suddenly be treated with a commercial for some local car dealer? Those are called “spot” ads and Comcast is being investigated for possibly having too much control over their sales. Unlike the rest of the ads that you’ll see during that hour of programming, the couple of minutes of spot ads aren’t sold by the network you’re watching. 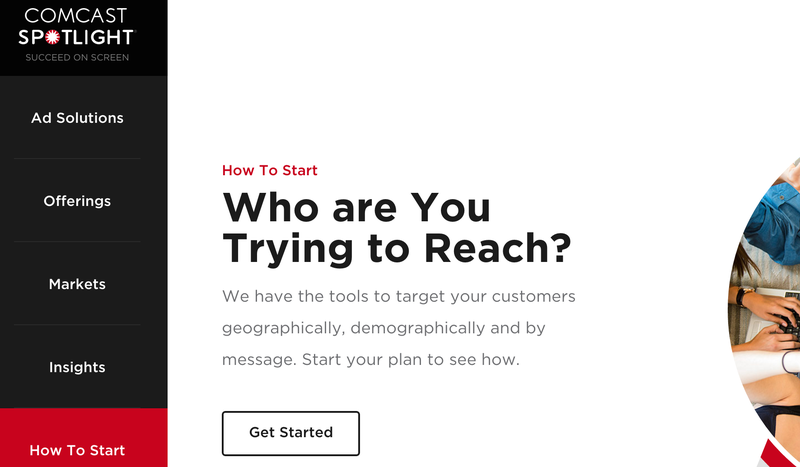 For national advertisers who want to target local markets during these few available seconds, the option is often to go to a company called NCC Media — which just happens to be co-owned by Comcast, Time Warner Cable, and Cox. Regional advertisers who want to cover their bases by buying spot ads that everyone in their market will see do so through an “interconnect,” a fancy term for a cooperative of local pay-TV companies. Comcast manages more than half of the interconnects in the nation’s top 50 markets. Then on the local level, when an advertiser wants to just reach one company’s audience in one market, they can sometimes buy the ad time through that particular pay-TV provider. But a number of smaller cable companies have handed off their ad management business to third party sales rep firms, the biggest of which is Comcast Spotlight. Which is why, according to the Wall Street Journal, the Justice Department has served Comcast with a civil investigative demand, focusing on “monopolization or attempted monopolization” of the spot cable ad sales business. During the antitrust review of Comcast’s failed acquisition of Time Warner Cable, concerns about the spot ad market were raised by competitors who felt that combining Comcast Spotlight with TWC’s existing spot sales business would give one company too much control over the multibillion-dollar field. Some competitors accused Comcast of using its dominance in the interconnect business to force smaller pay-TV providers to use Comcast Spotlight as ad sales reps, effectively shutting out existing competition. It’s not clear whether this investigation is an offshoot of the TWC merger review or if something else spurred the DOJ on. Similarly, there is no way to say at this point if anything will come of the investigation other than requesting some information from Comcast and a few other companies.